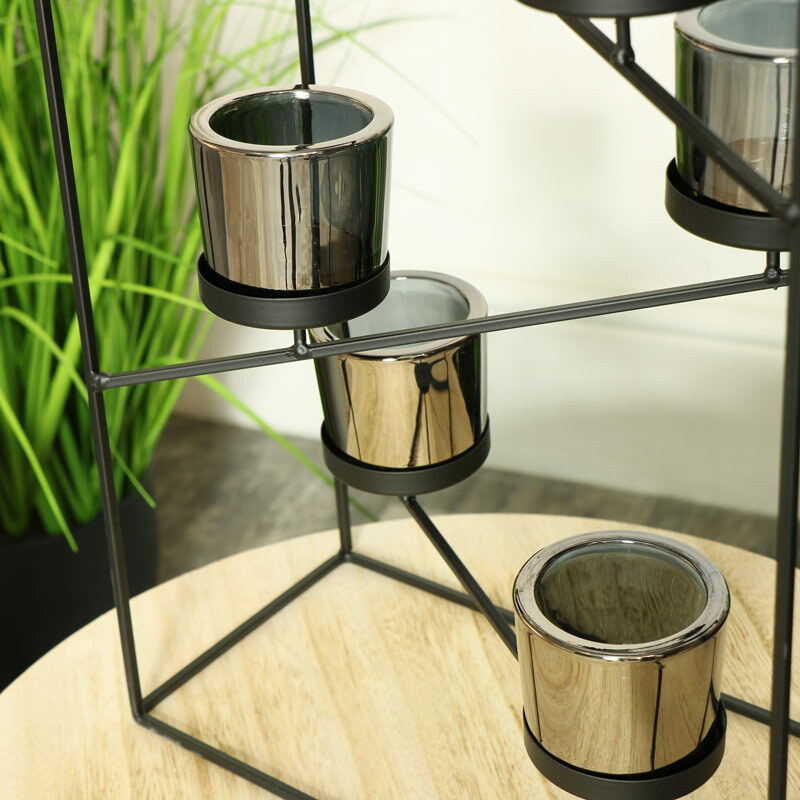 This quirky candle holder is perfect for any contemporary or modern home whilst adding a retro and industrial twist. 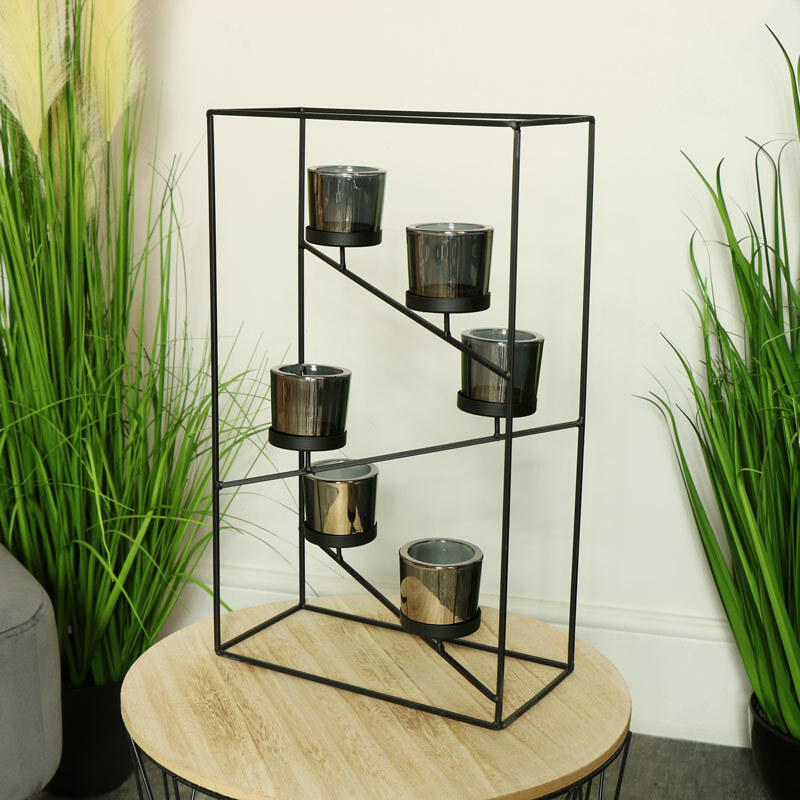 Complete with a metal wire style frame and six glass cup holders it is perfect for tea lights. Our range of candle holders and candelabras is every growing to suit all interiors and trending decor styles.